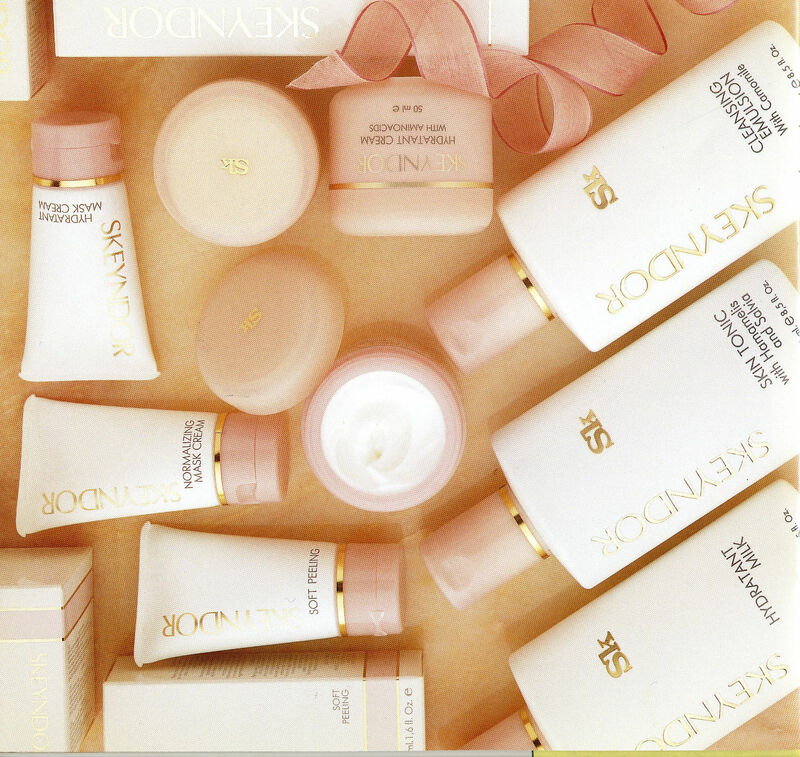 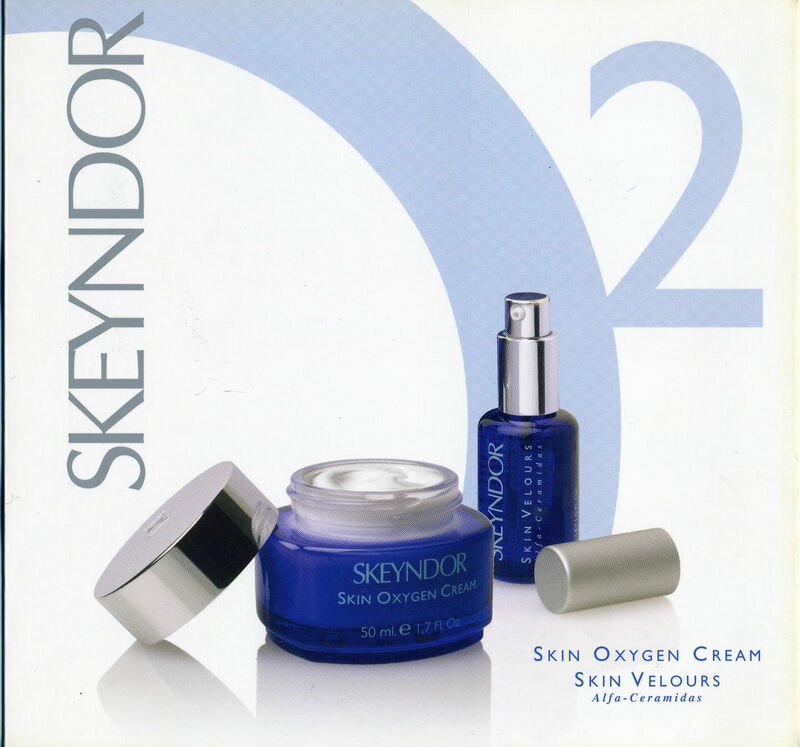 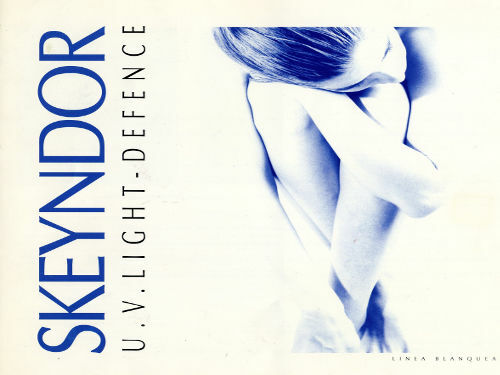 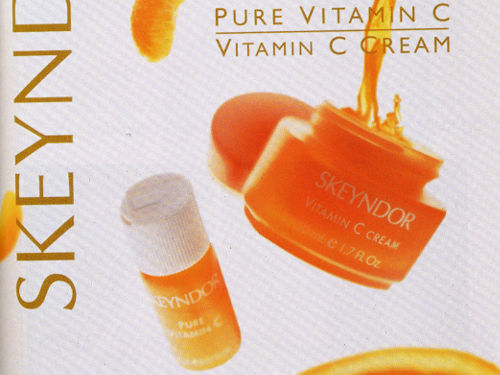 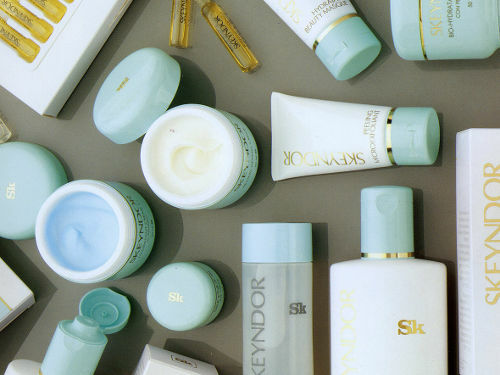 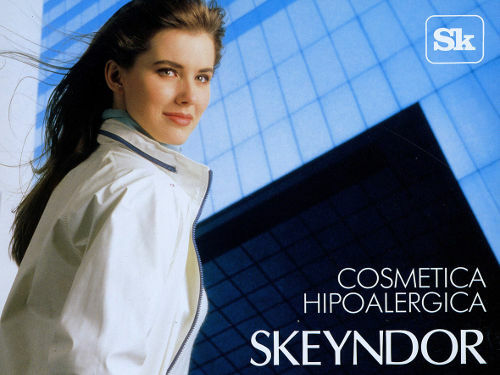 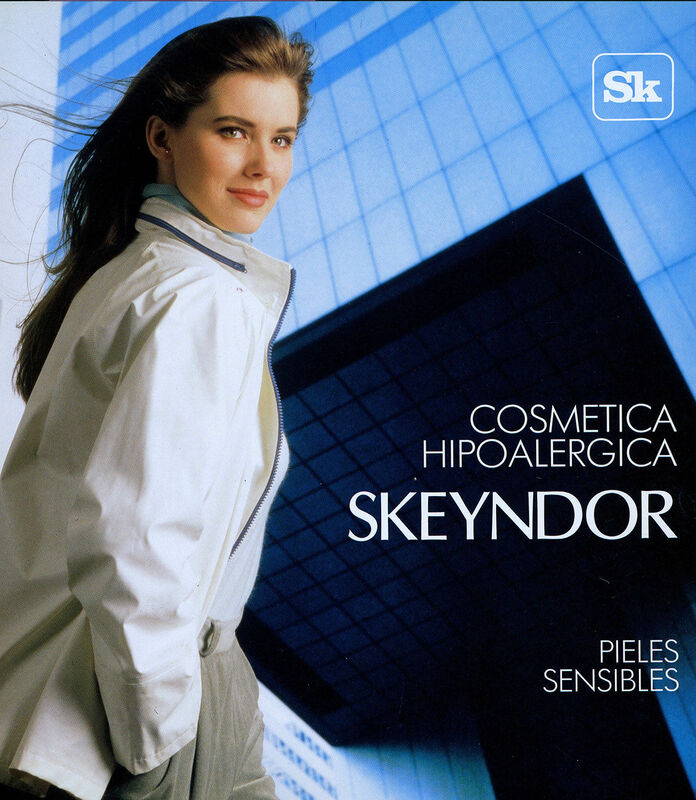 Skeyndor is born in 1966 as a specialised business in the professional cosmetics sector. The formulations of the first products such as the famous Amphora marked the beginning of carefully studied face and body treatments to meet the needs of the Beauty Institutes. 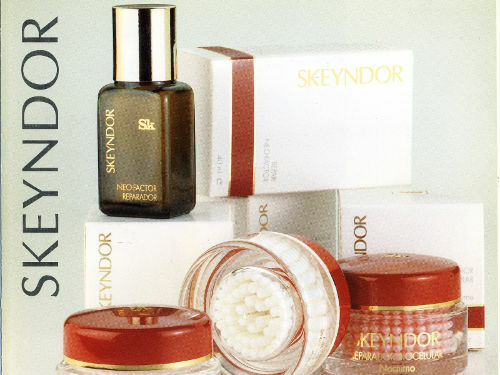 Skeyndor present their new range of facial beauty treatments (milks, tonics, lotions, creams, facial masks, ampoules...) based on extraordinarily pure products; most of them of completely natural origin. Latest advance in natural cosmetics for the treatment of skin aged by normal changes or damaged by external factors such as ultraviolet rays, pollution, etc... 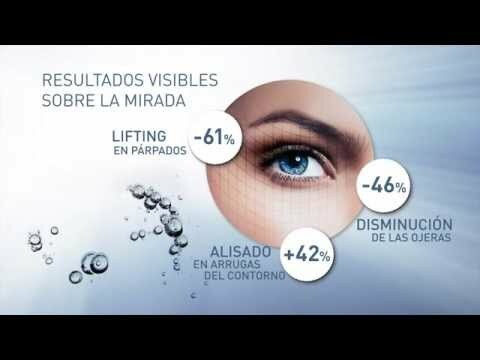 It consists of 4 specific treatments: Nourishment, Hydration, Firming and Anti-wrinkle, as well as integral treatment based on Native Collagen, Hyaluronic Acid and Amniotic Fluid. 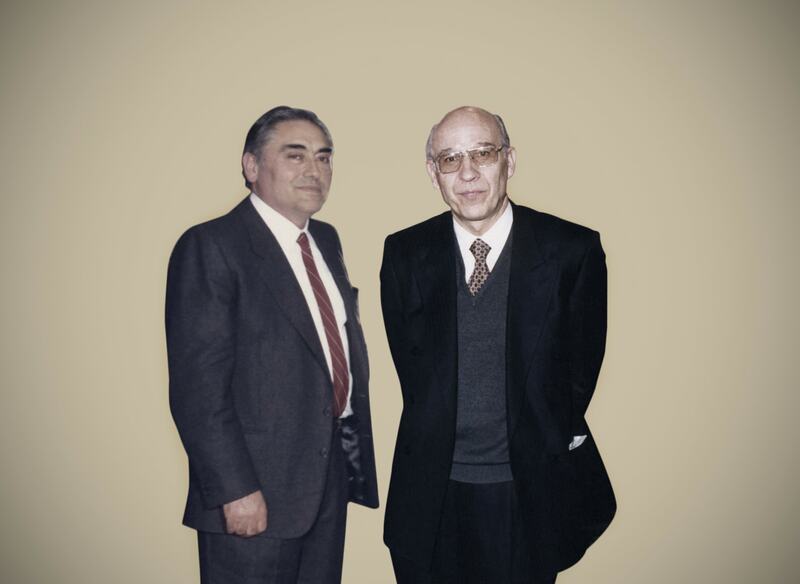 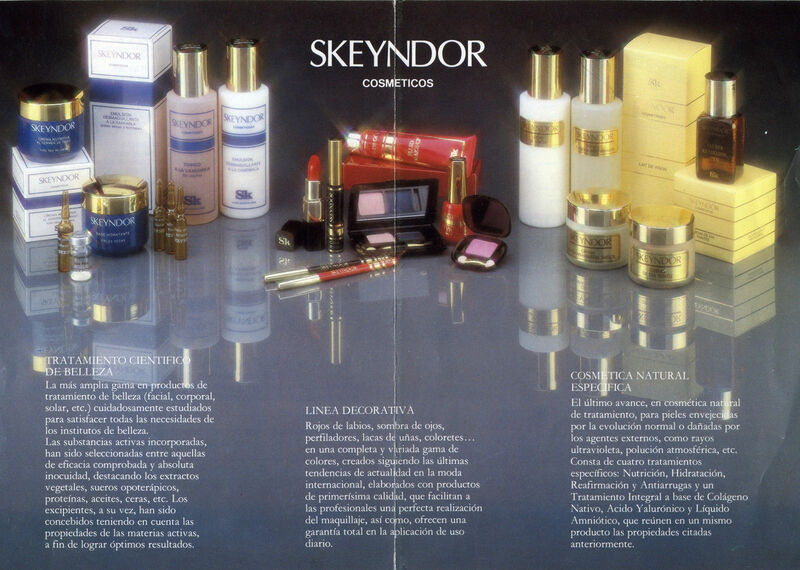 At the end of the 70s, SKEYNDOR launches two main product lines: the Natural line and the Esencial line or blue line. 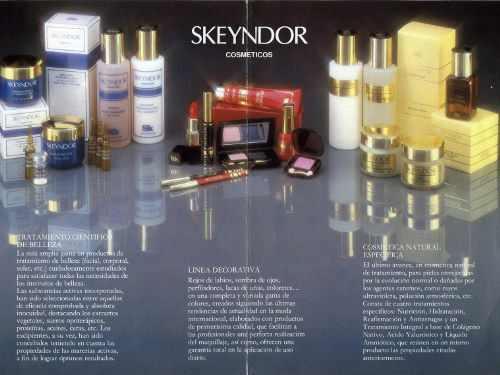 Options were broadened to meet a wide variety of beauty needs up until the lines that we are familiar with today. 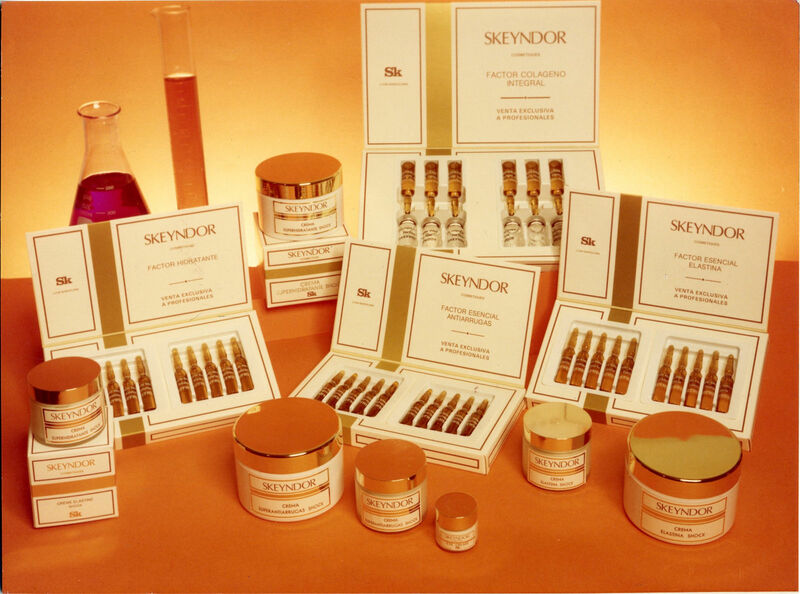 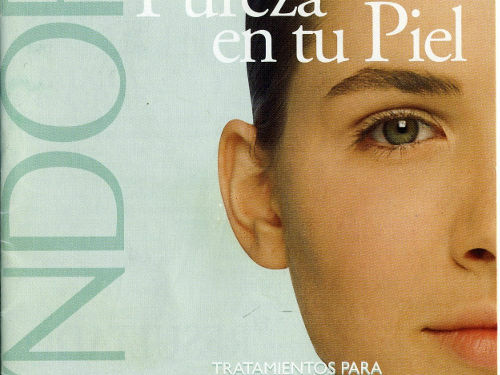 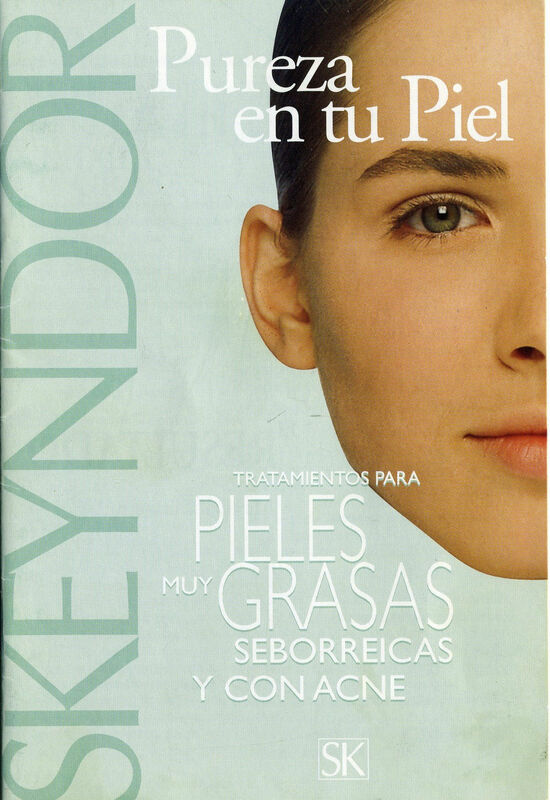 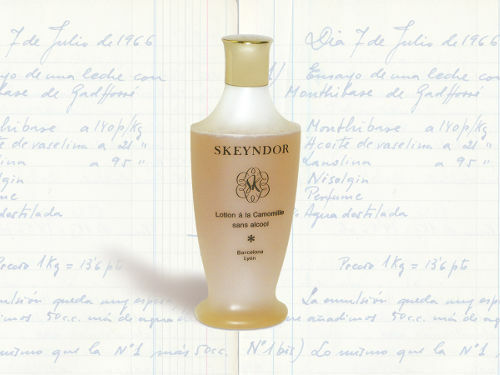 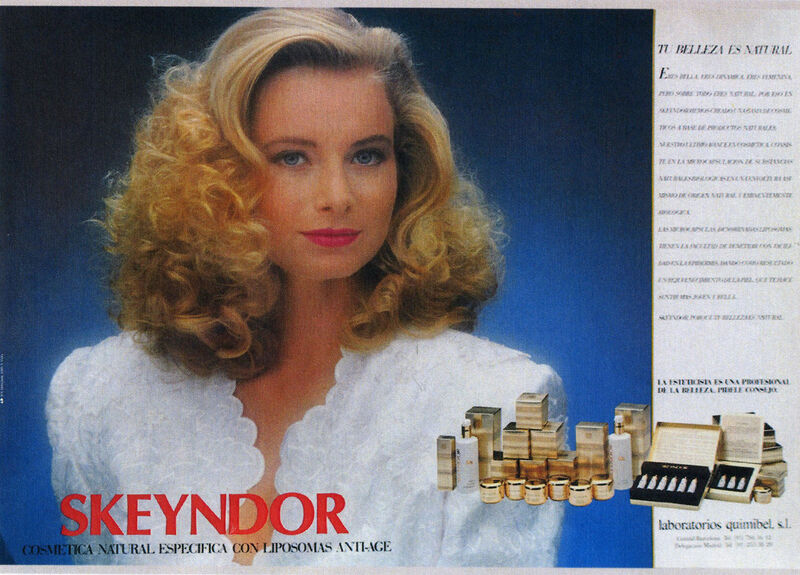 Skeyndor makes significant investments in publicity campaigns at the end of the 70s, with publications in professional reviews of the sector such as "Les Nouvelles Esthetiques". 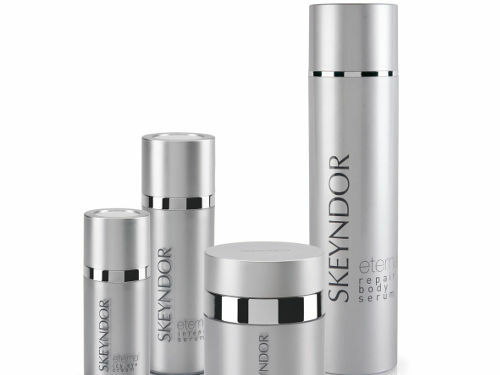 Skeyndor launches a varied range of products with different protection ratings to respond to all demands. 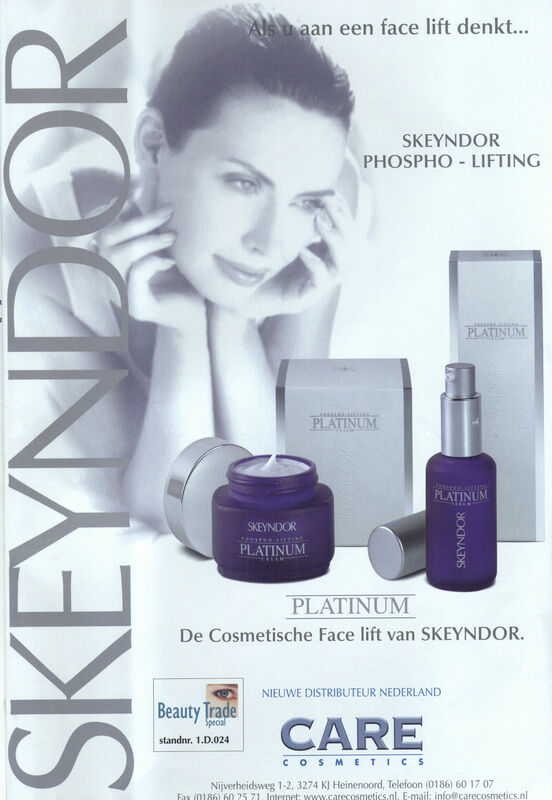 They have also been enriched with anti-free radical agents and elastase inhibitors to slow down photoageing. 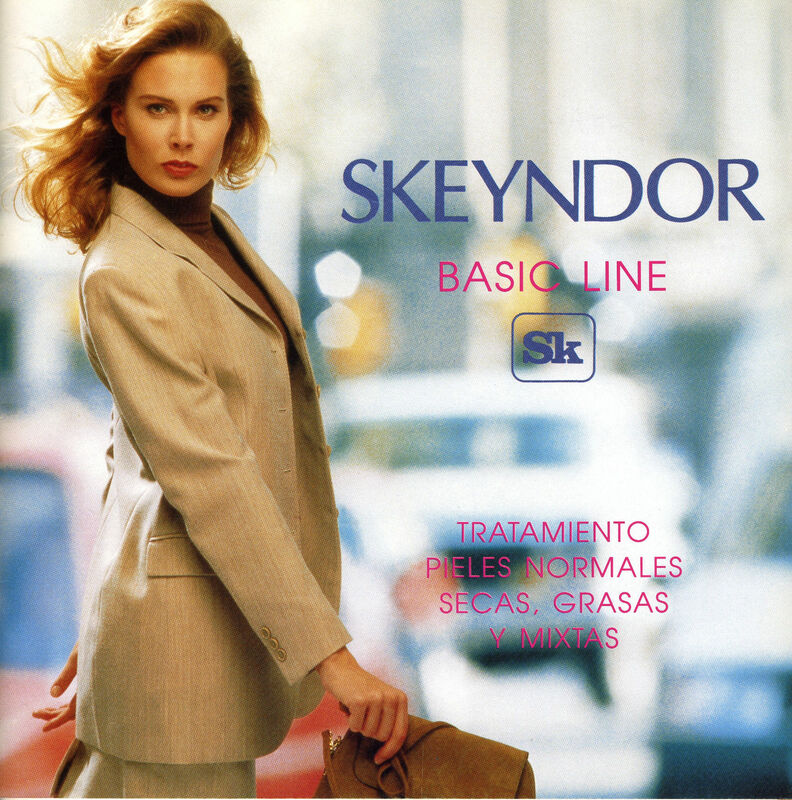 Due to the growing demand for SKEYNDOR products during the 1980s, the industrial installations in Terrassa are expanded in order to offer a better service to clients and to offer rigorous quality control. 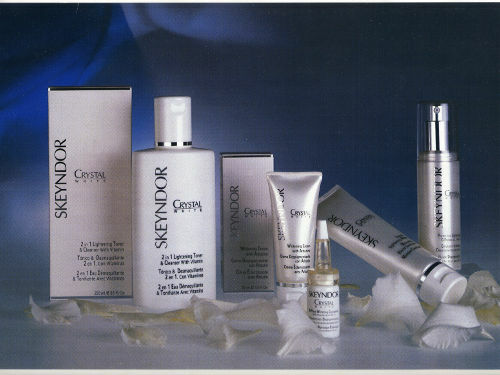 The product line for the treatment of specific body problems such as cellulitis, stretch marks, sagging breasts, unwanted hairiness, etc. 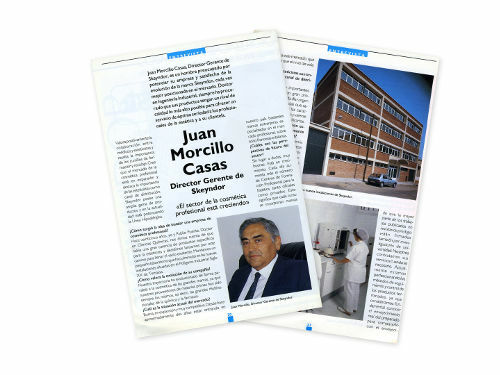 is created. 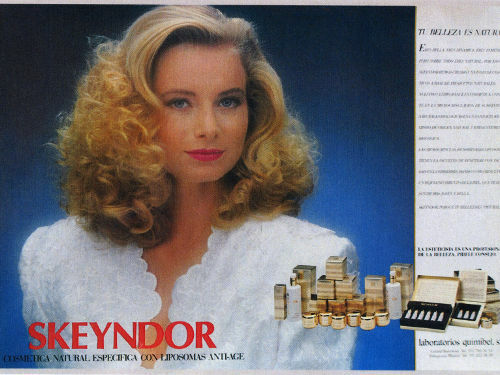 YOUR BEAUTY IS NATURAL. 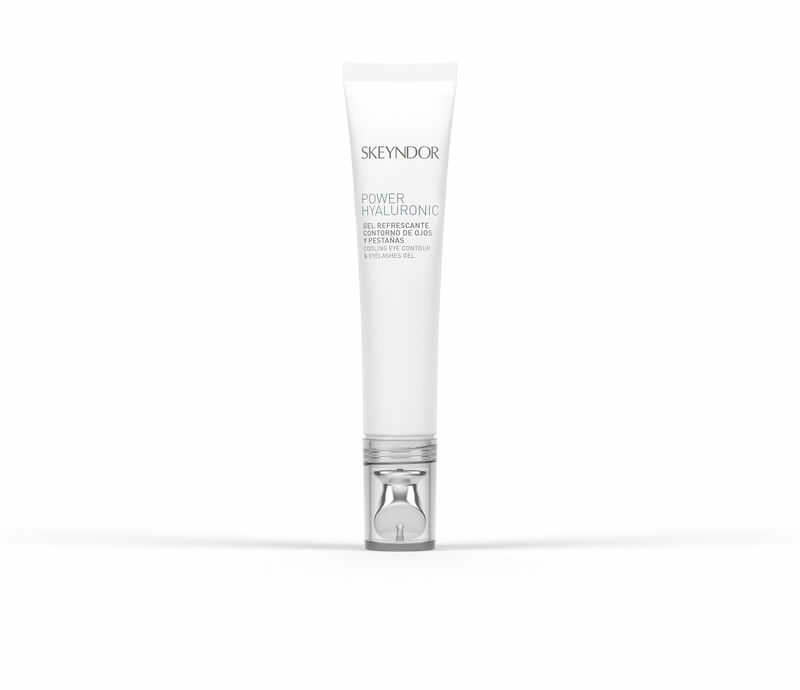 The first specific natural line with Liposomes to prevent and treat skin ageing is born, with microcapsules that penetrate down to the deepest layers of the epidermis. 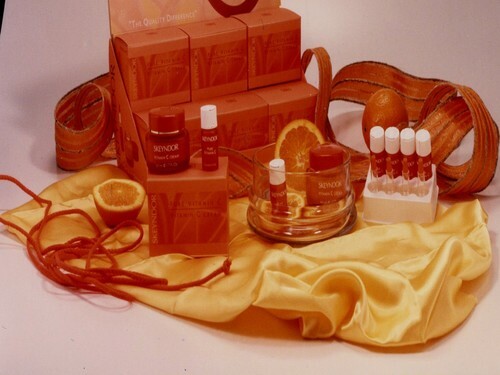 No-one can live without the beneficial nourishment of sunlight, source of all forms of life. 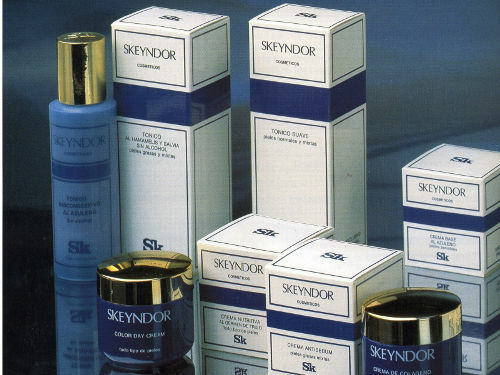 True to their principles and as ongoing research, Skeyndor launch their first skin-lightening line. 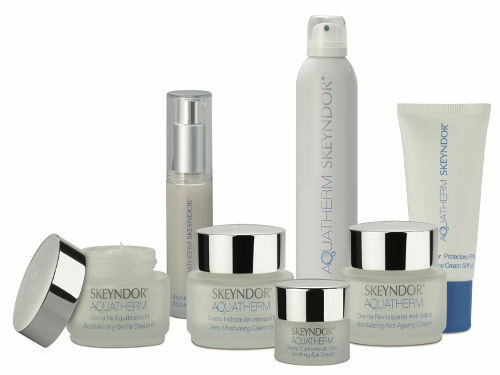 SKEYNDOR create their first line of hypoallergenic cosmetics specifically for sensitive skin types. 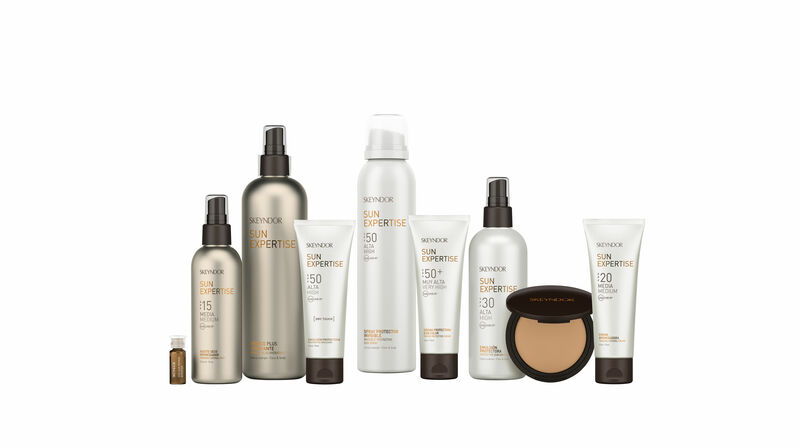 The Essential line is re-launched. 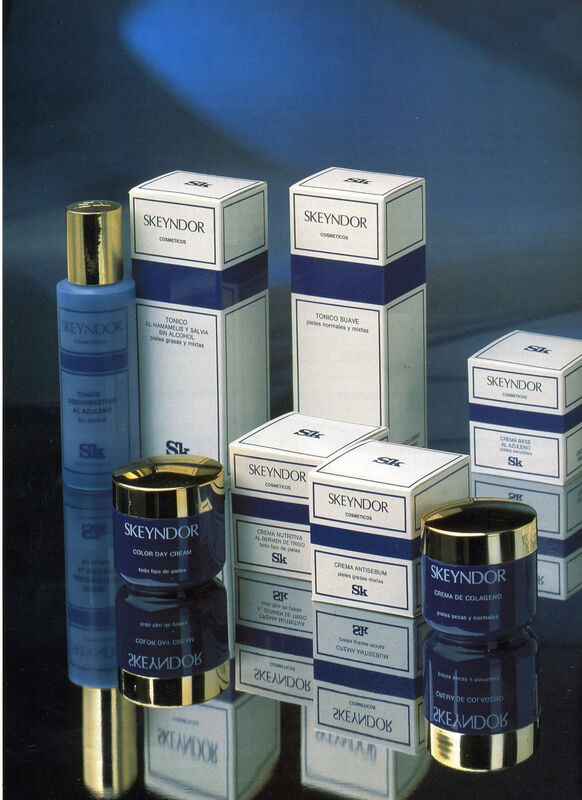 SKIN REPAIR TREATMENT. 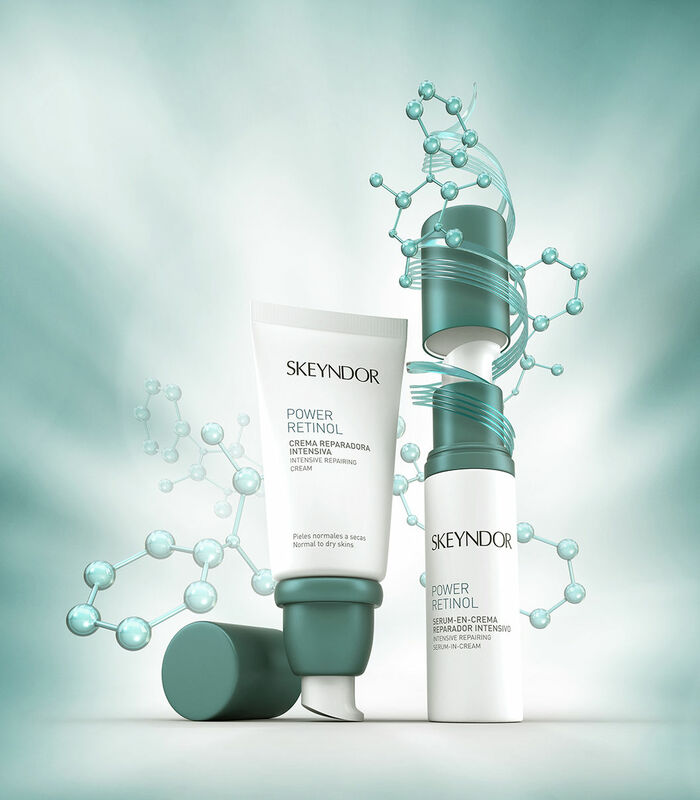 New skin repair system in which the restorative action of the repair complex is combined with the protective hydrating and re-structuring effects of other active substances such as ceramides. 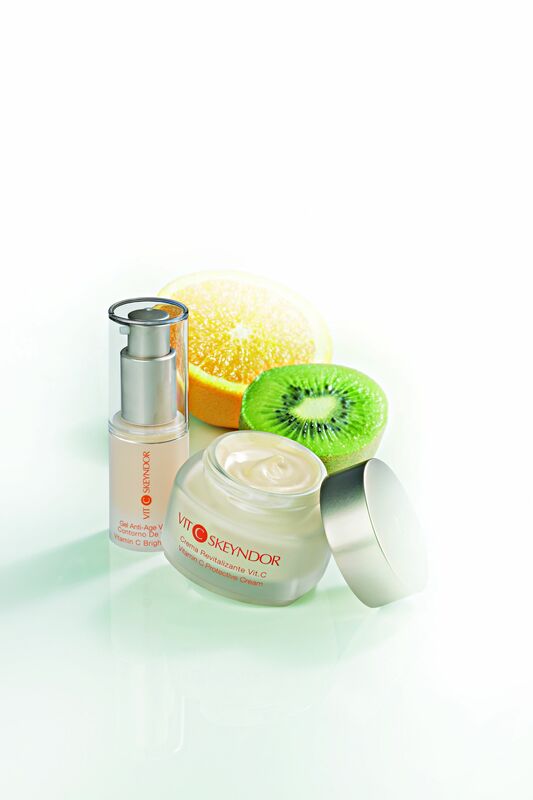 With its vitamins working in synergy, this line acts as an anti-ageing complex and skin revitaliser. 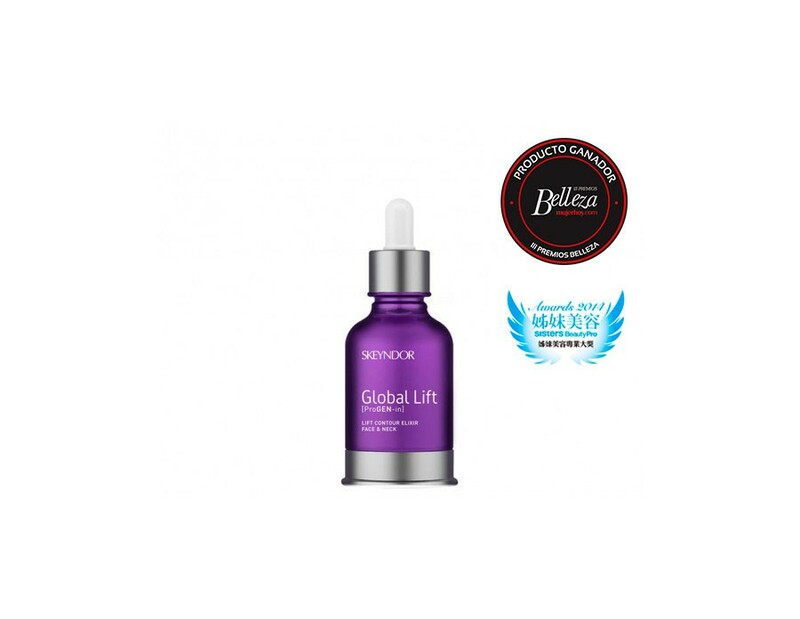 It regenerates and revitalises even the most deteriorated skin, leaving a silky touch as well as helping to metabolise the oxygen needed for cell recovery. 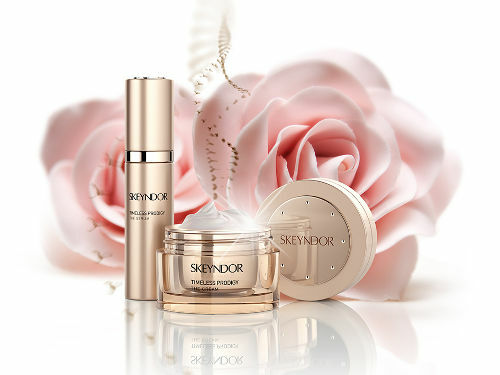 The first specific SKEYNDOR line for the treatment of greasy, seborrheic and acne-affected skin types is launched. 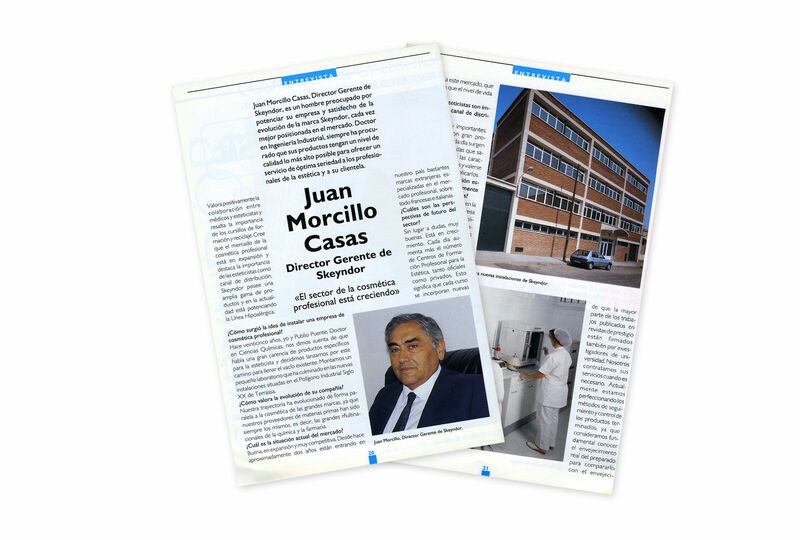 Creation of the export department, making the first contacts with countries like Hong Kong, Italy and Portugal. 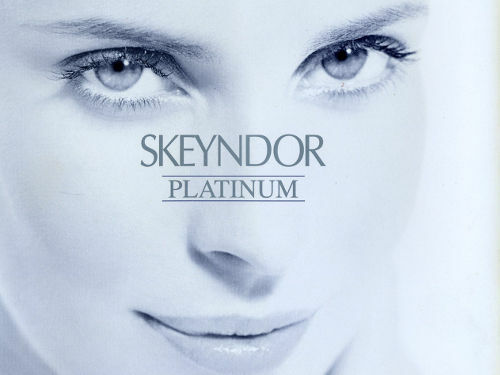 Skeyndor has perfected their already accredited depigmentation line, offering 5 products designed to mitigate the dark colour of stains and hyperpigmented areas to achieve clear, bright and radiant skin. 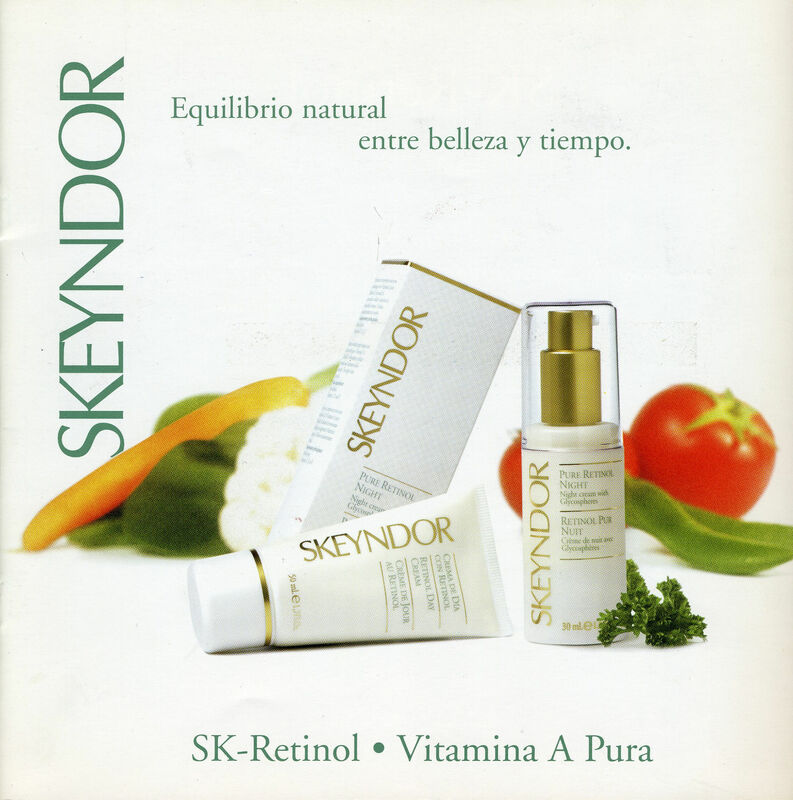 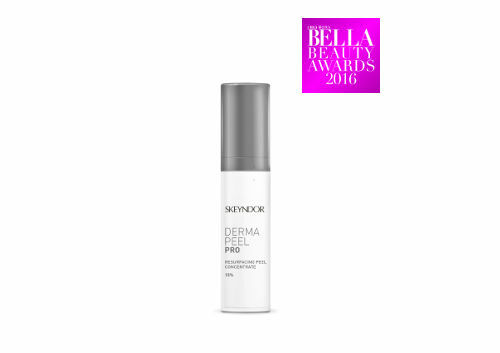 SK-RETINOL offers a complete treatment that takes full advantage of, and reinforces, the performance of PURE RETINOL as an anti-wrinkle agent. 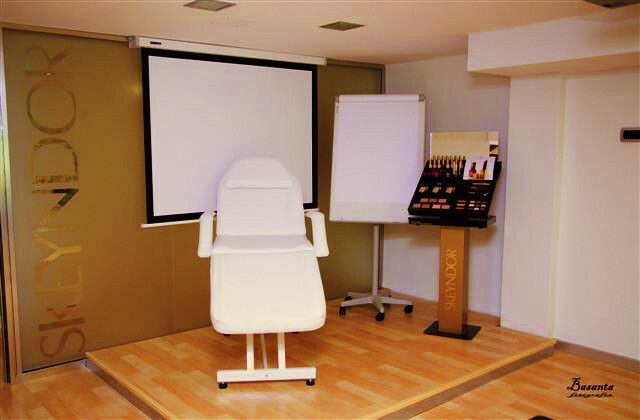 Training centres for beauty professionals are opened in Barcelona and Madrid. 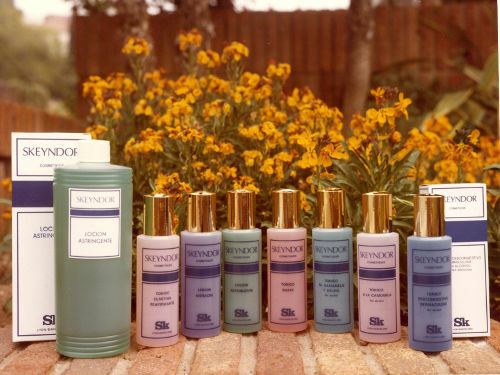 The Natural Defence line is relaunched, a product line specially created to defend the skin against attack by external factors such as sun, stress, pollution and the passage of time. 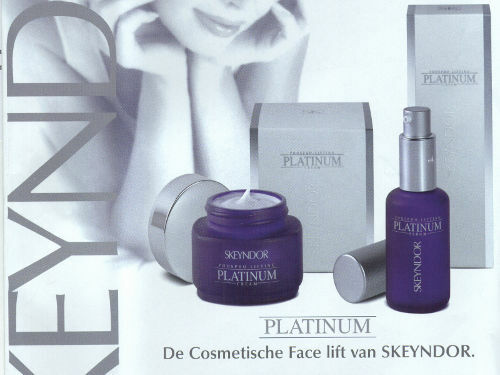 Intensive global anti-ageing treatment and face lift effect which supplies energy sources and revitalises the tissues by means of proper nourishment and good intercommunication between the cells and their environment. 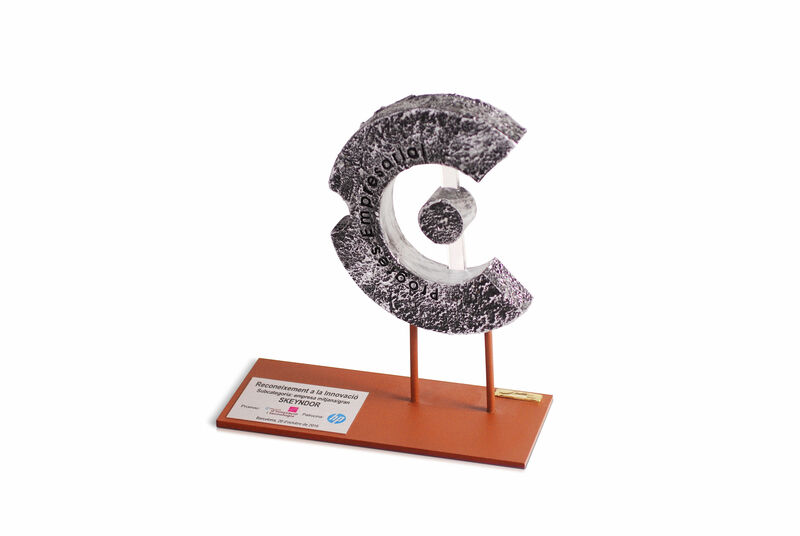 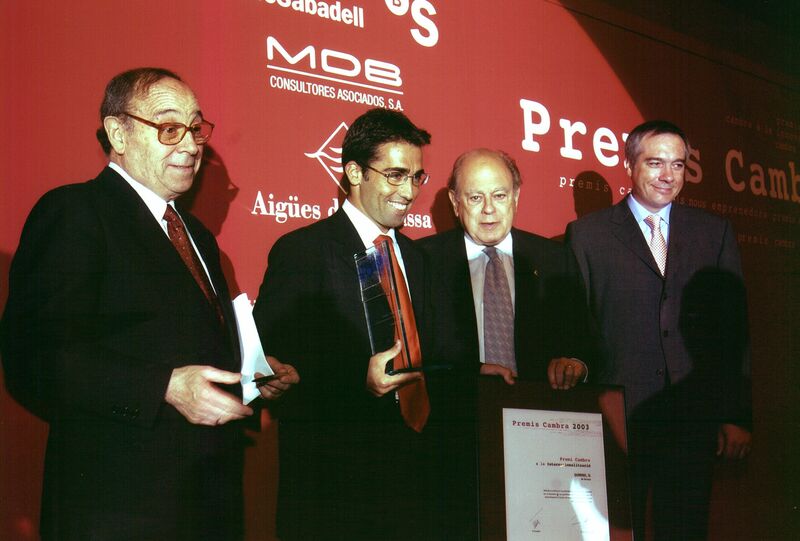 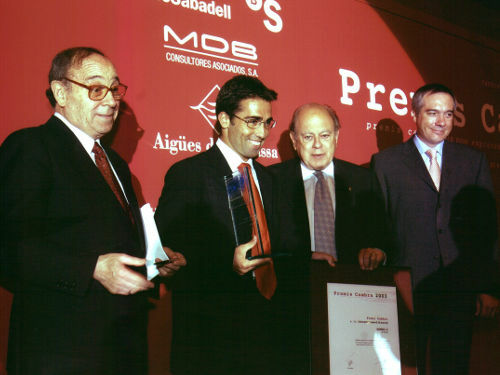 Award for "Excellence in exportation"
Skeyndor receives the award for "Excellence in exportation" from the chamber of commerce of Barcelona. 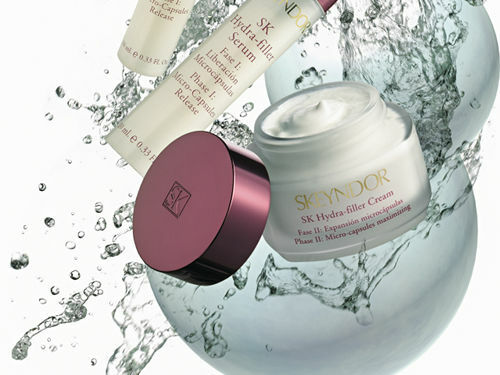 Skeyndor launches the SK Hydra-Filler line, an innovative multifunctional cosmetic treatment that combines a long lasting moisturising effect with efficient wrinkle correction. 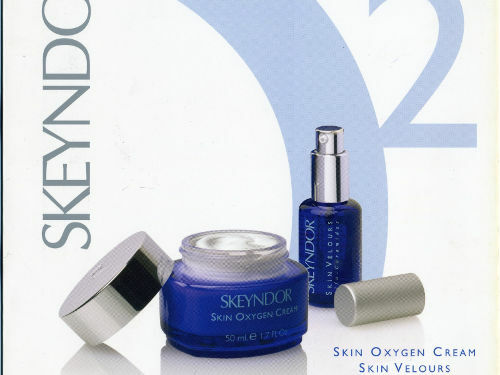 Anti-free radicals and cell regeneration treatment. 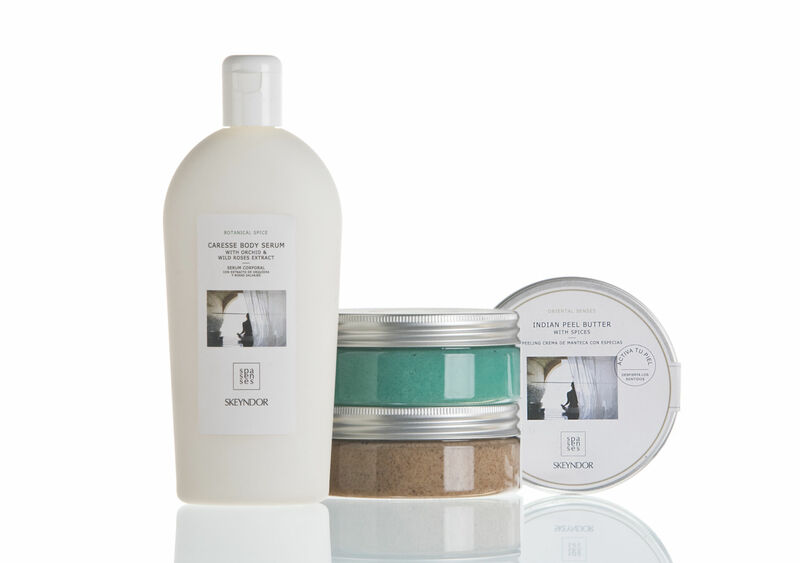 Leaves a pleasant texture and freshness, softness and comfort in the skin. Product line specially formulated to respond to the problems of skin sensitivity. 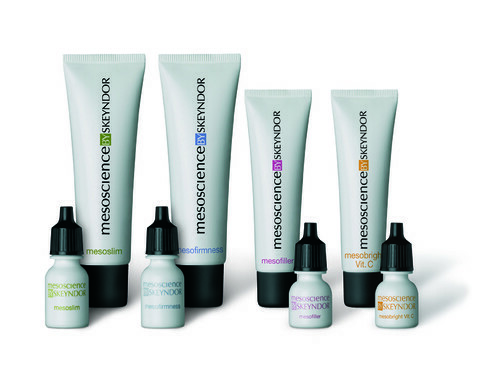 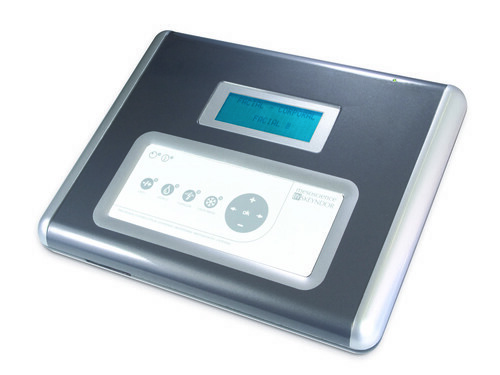 Professional treatments carried out by means of an exclusive virtual mesotherapy kit which brings together and completes different latest generation meso-electrotherapy techniques aimed at scientifically treating the most common beauty problems. 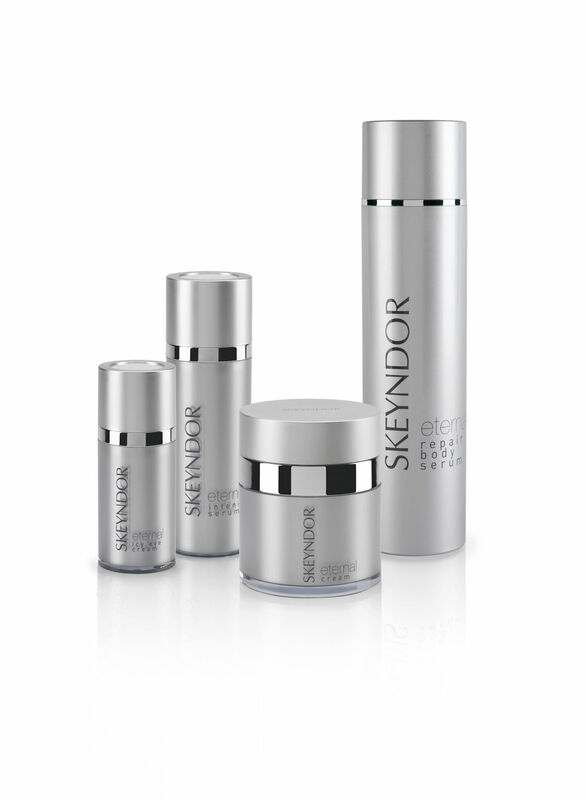 Skeyndor revolutionizes the professional cosmetics sector with Eternal, the first treatment to use stem cells of vegetable origin for a lasting anti-ageing treatment. 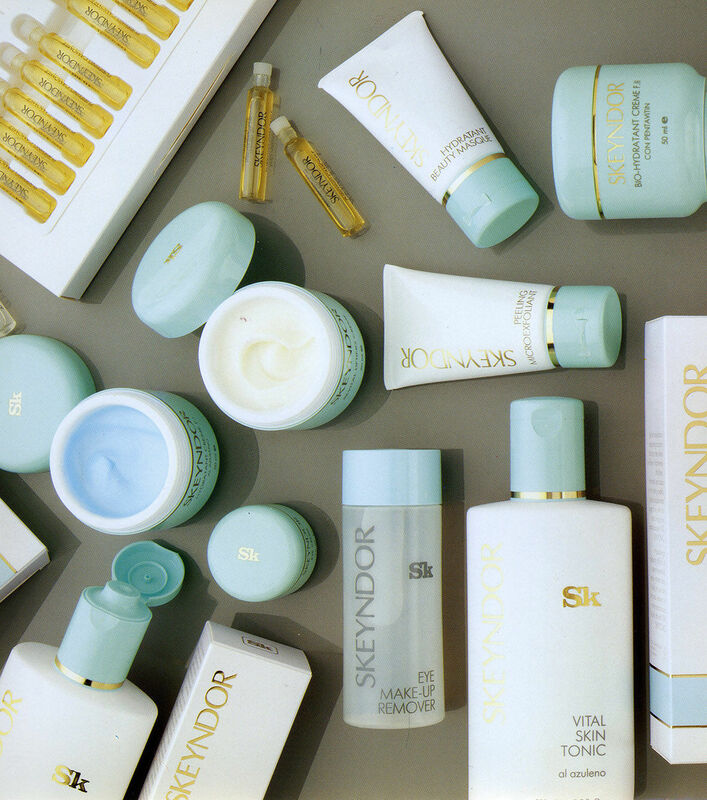 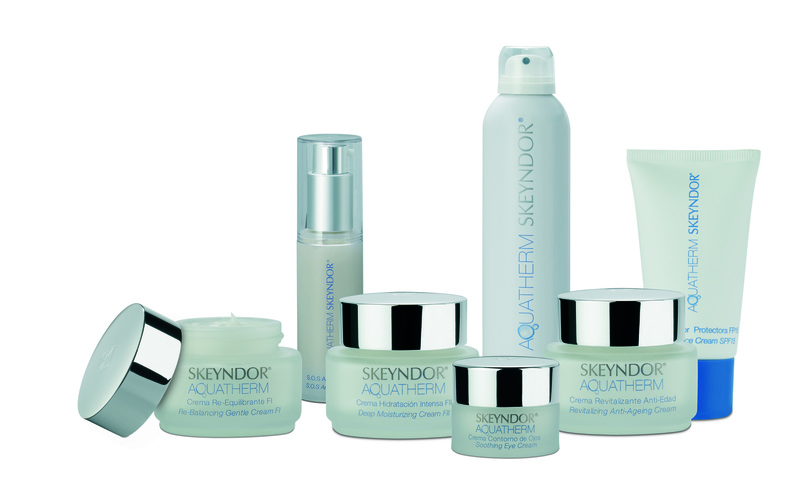 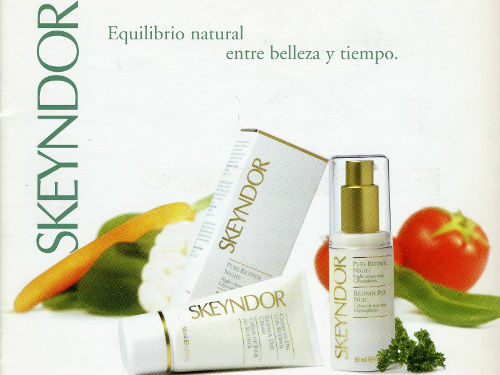 Skeyndor develops a new way of experiencing well-being and harmony through cosmetic care. 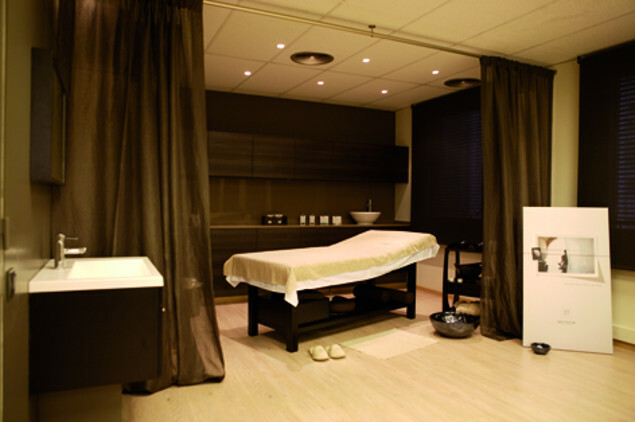 The aims are to improve self-esteem, self-affirmation and mood through the experience of sensations. 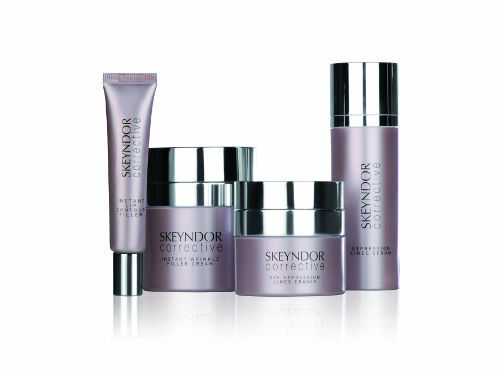 Corrective is born in 2010, a cosmetic treatment that eliminates the deepest wrinkles, rejuvenates expression and returns the skin to its young and supple appearance. A real, effective alternative to surgical treatments. 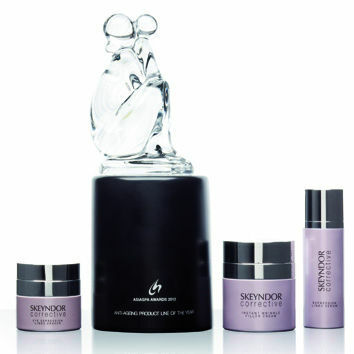 The CORRECTIVE line is designated best anti-ageing product at the ASIASPA AWARDS. 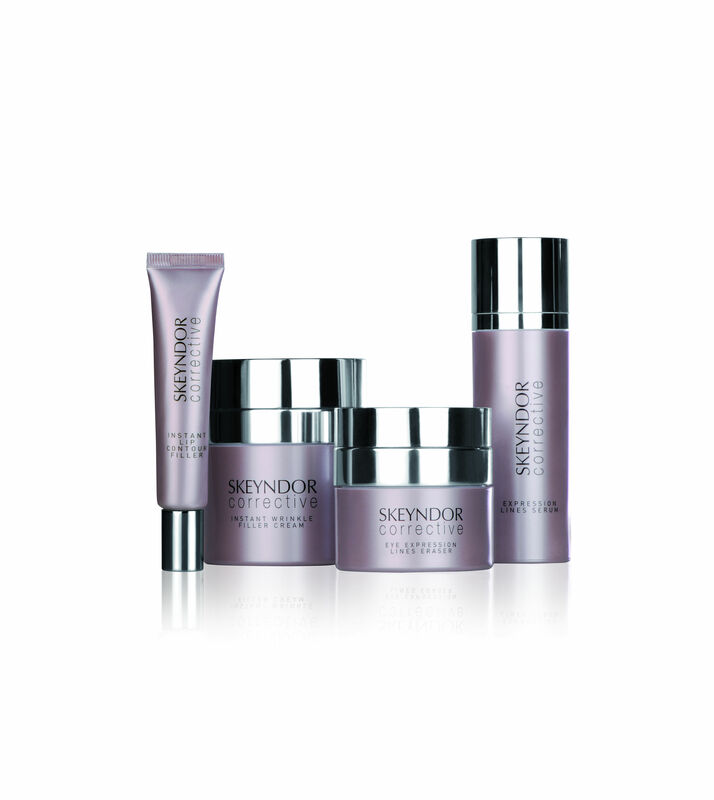 Inspired in the latest revolutionary anti-ageing treatments. 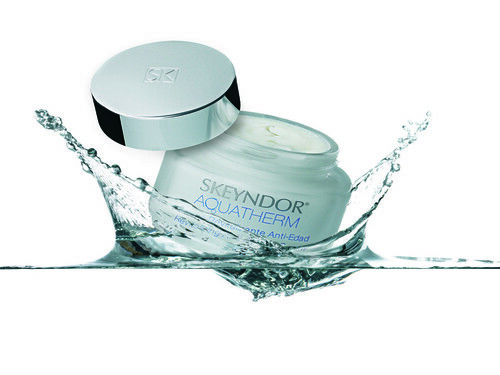 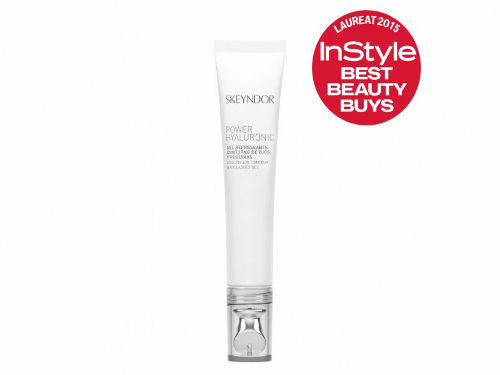 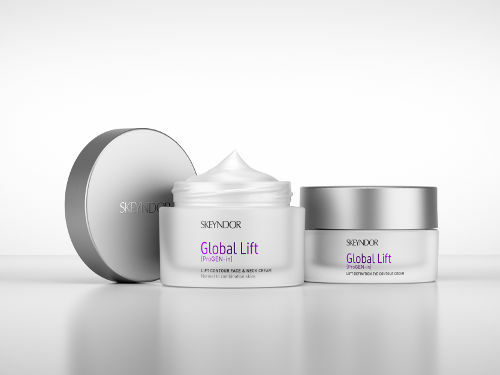 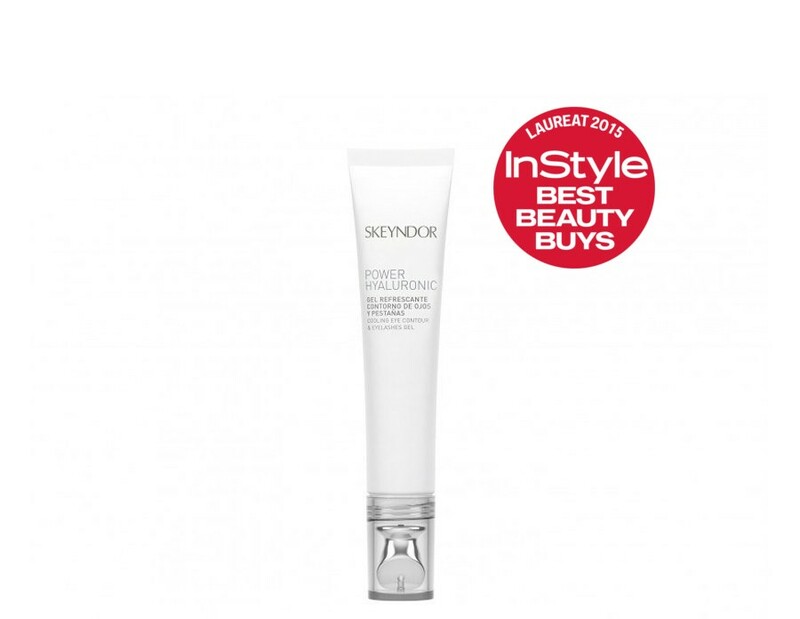 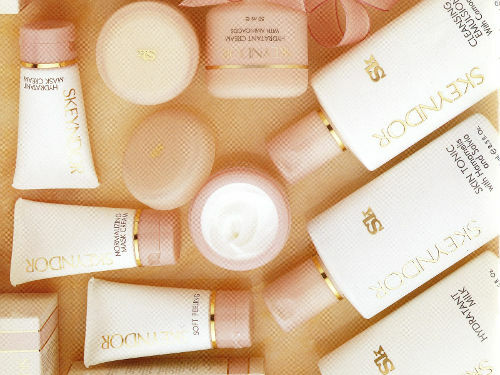 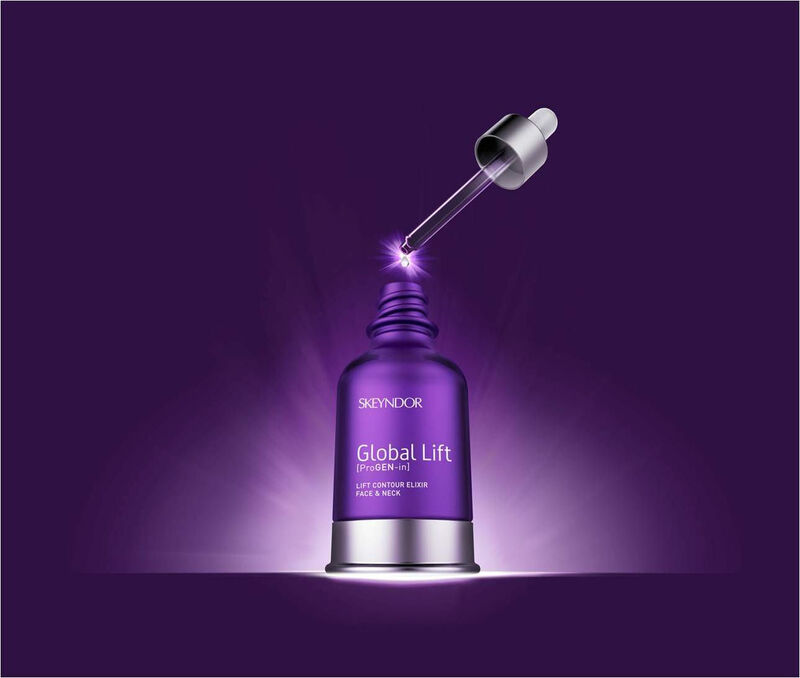 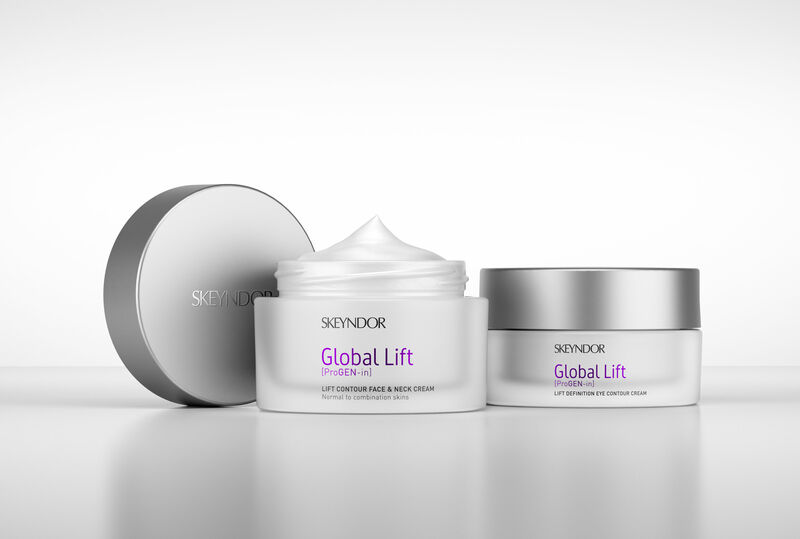 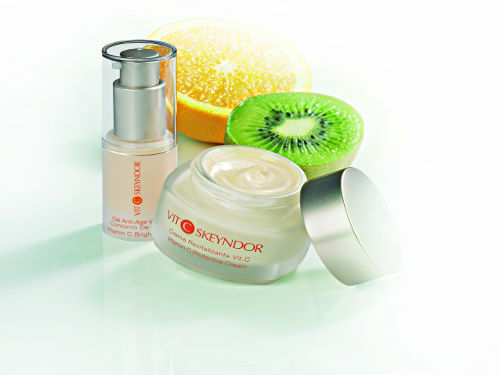 Skeyndor creates the first Global Lift which redefines the face in its key areas: oval - neck - apple of the cheeks. 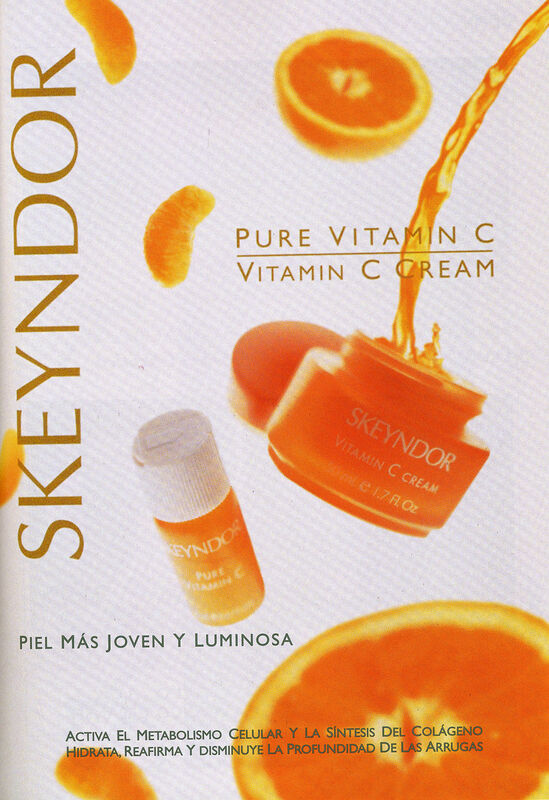 Advanced technology in photoprotection. 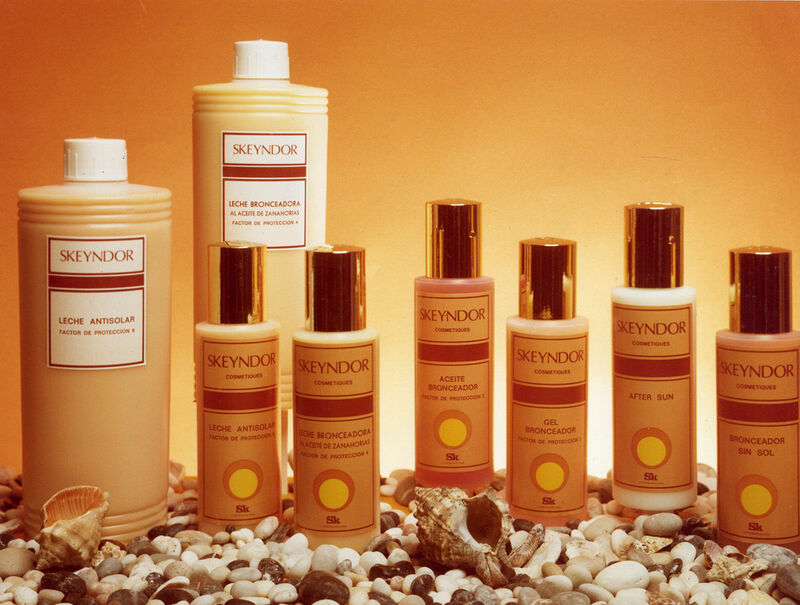 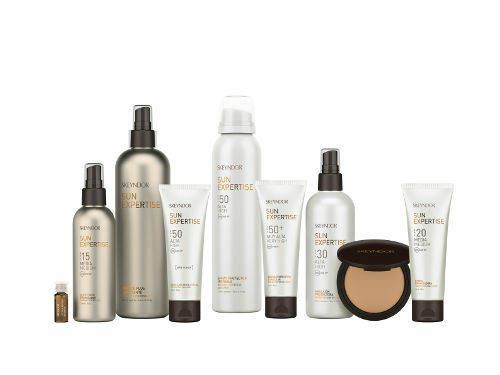 Skeyndor launches Sun Expertise, a complete range of specific products for sun care, which provides three internal and external protection barriers, protect & tan formulas and a galenical textures workshop adapted to the skin's protection requirements. Power Hyaluronic improves the skin's natural hydrodynamics by combining hyaluronic acid of various molecular weights with a powerful aquaporins activator, leaving the skin more comfortable, perfectly hydrated and with a softened microrelief. 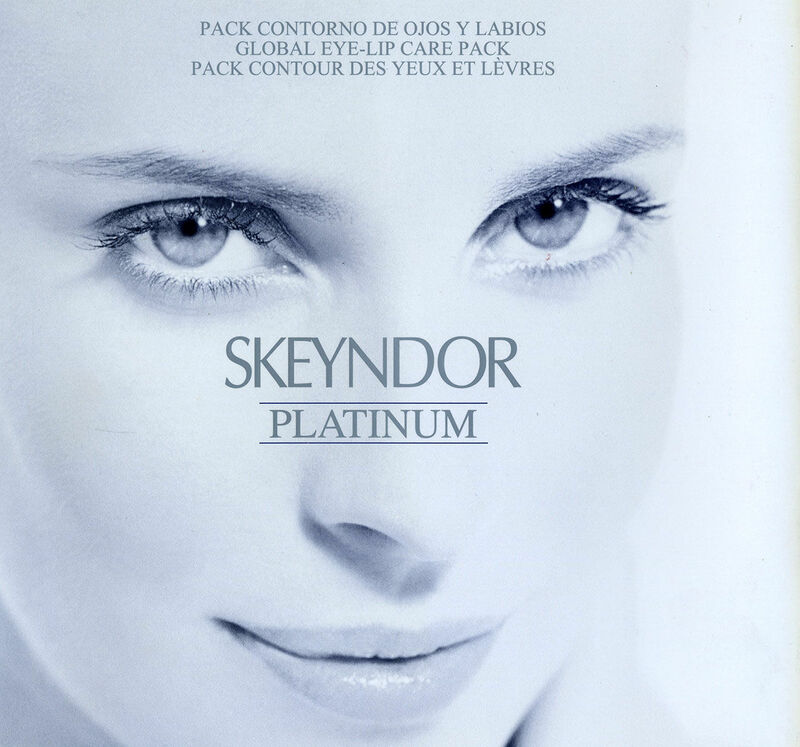 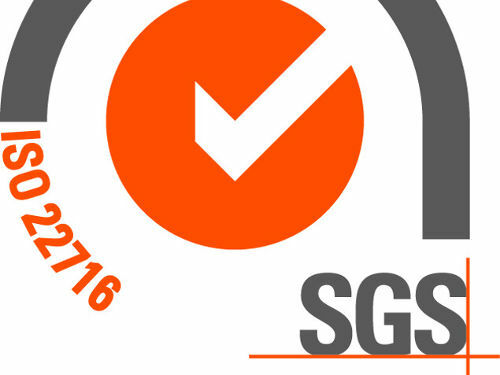 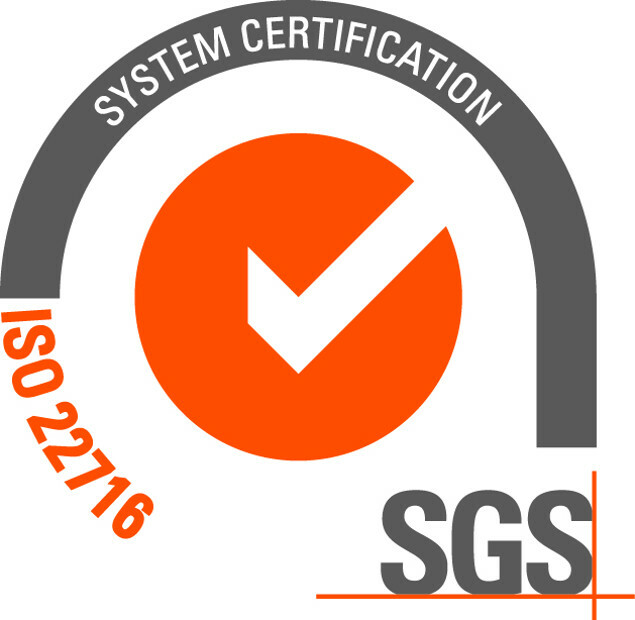 SKEYNDOR obtains the ISO 22716:2007 (ES13/14506) certificate. 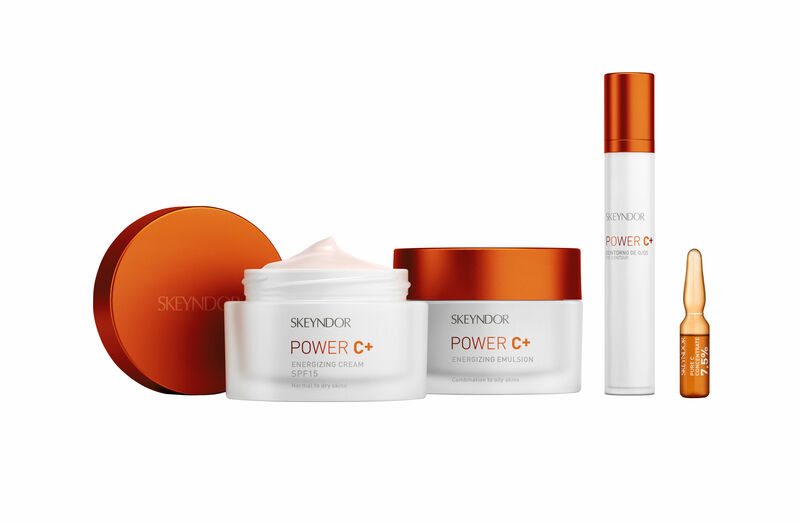 Power C+ is formulated with a new generation of vitamin C, more effective than other derivates of vitamin C thanks to its greater capacity for cellular penetration and absorption. 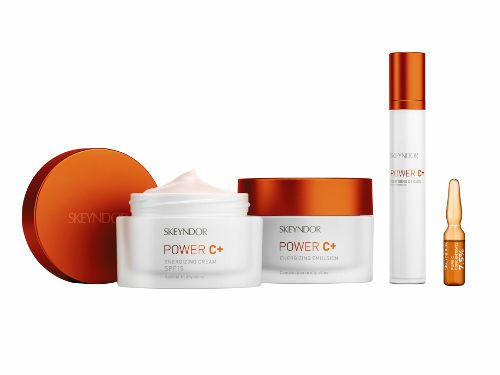 The action of the vitamin C is wisely completed with pomegranate extract HG, leading to younger and brighter skin as a result. 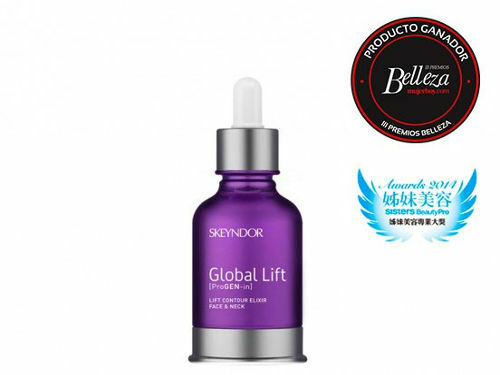 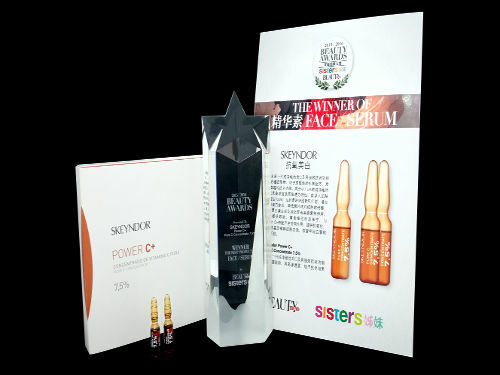 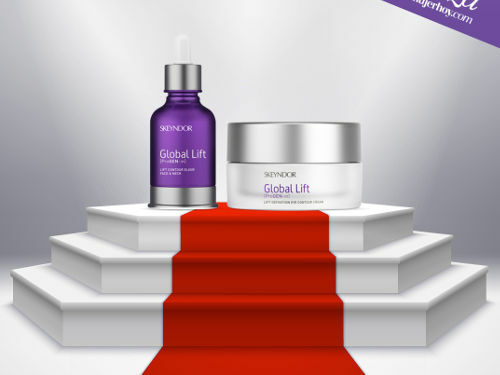 Global Lift Elixir is awarded two prizes: Best professional cosmetics product by mujerhoy.com and the Professional Anti-aging Product Award by Sisters Beauty Pro from Asia. 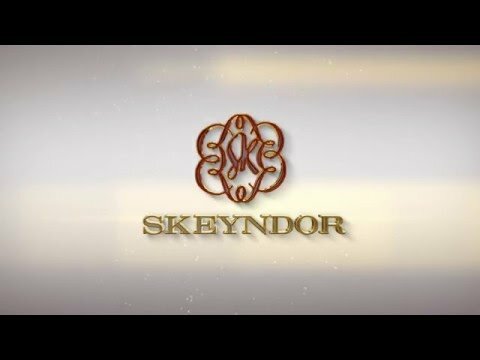 The Skeyndor Academy in Barcelona is inaugurated as a national and international training centre. 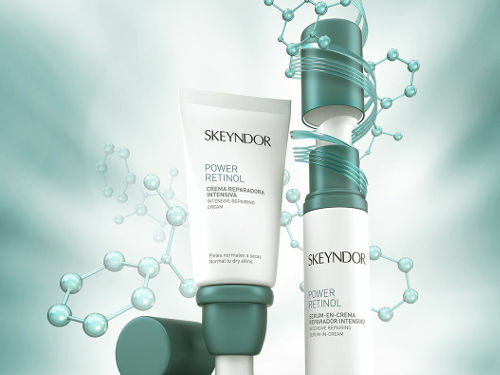 Skeyndor creates Power Hyaluronic Eyes & Lashes, widening and complementing the Power Hyaluronic line, the latest advance in natural hydrodynamic skin treatments. 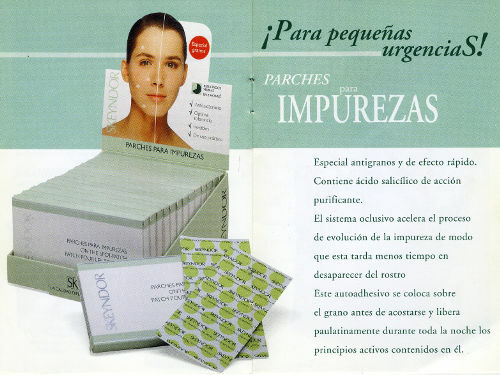 A line of specific products for the treatment of the area around the eyes. 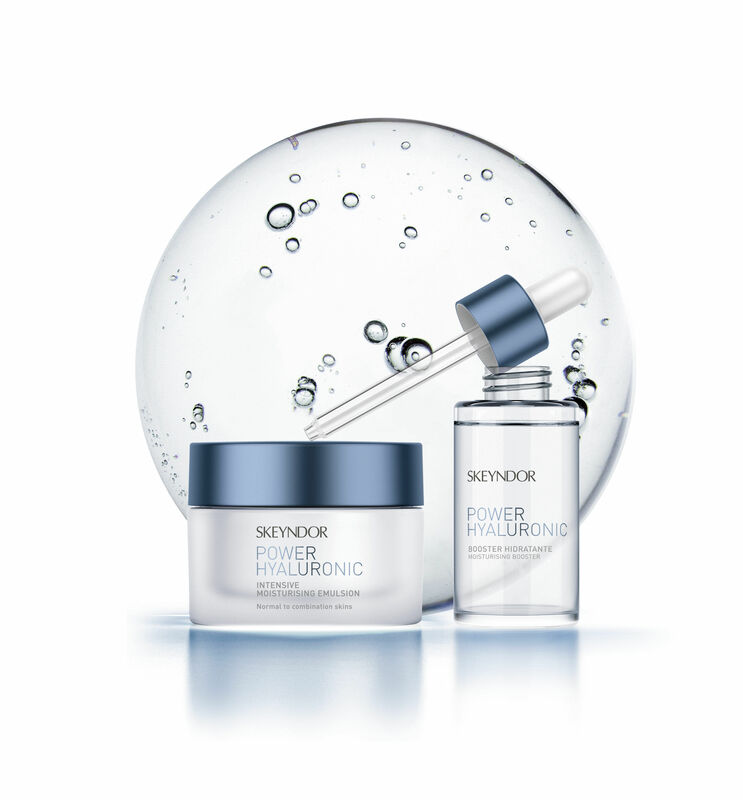 Power Retinol is the result of the thorough research of more than 25 years on retinoids and substances with retinoid-like activity for application in the field of professional beauty treatment and aesthetic medicine. 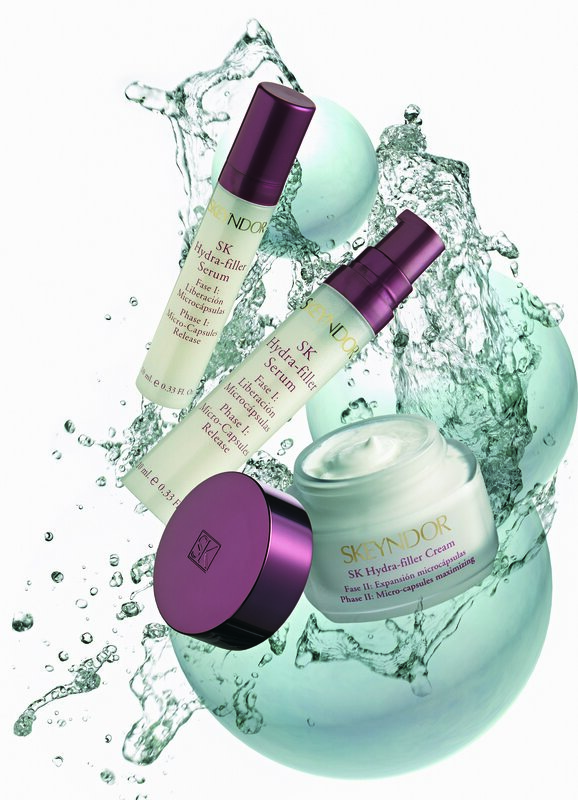 Its mission: to rejuvenate skin aged by natural causes or the sun. 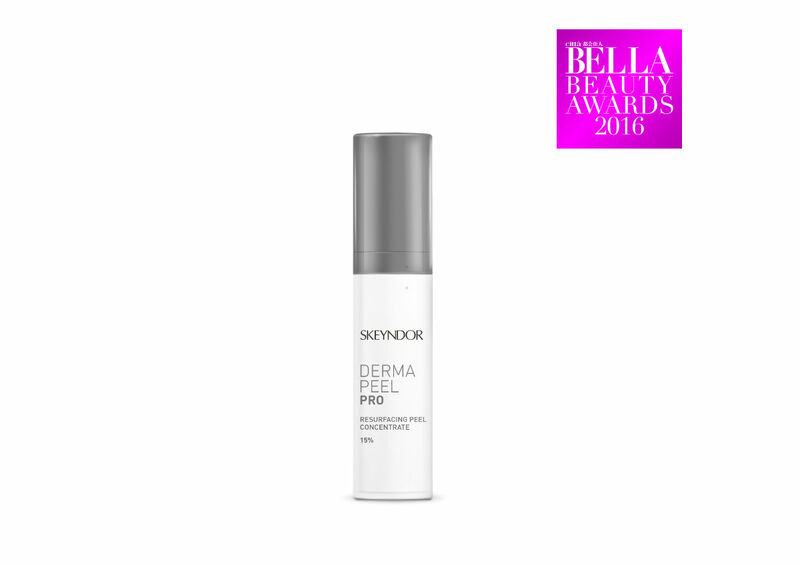 Dermapeel Pro becomes the first multilayer sequential peel. 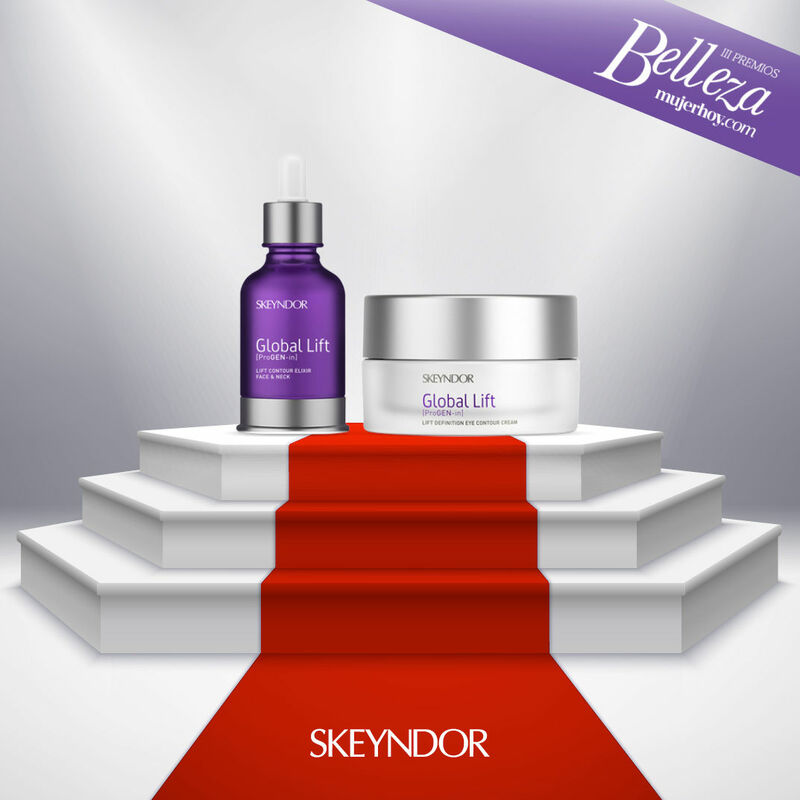 The new cosmeceutical peel generation which treats skin imperfections immediately. 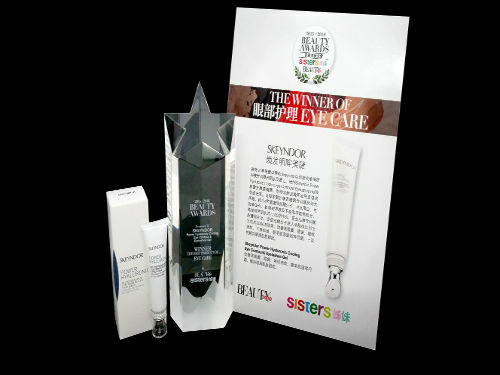 Beauty Award 2015, best eye care product, from Beauty Trend in Malaysia. 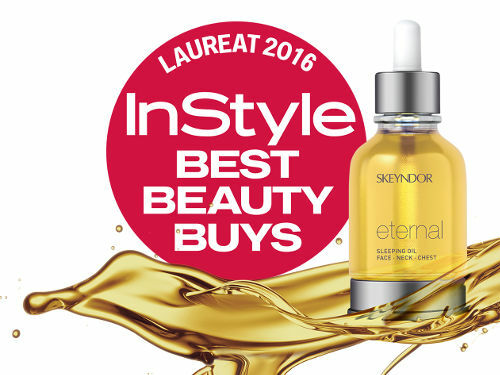 Power Hyaluronic Cooling Eye Contour & Eyelashes receives the award in the best facial product category at the Instyle awards in Poland. 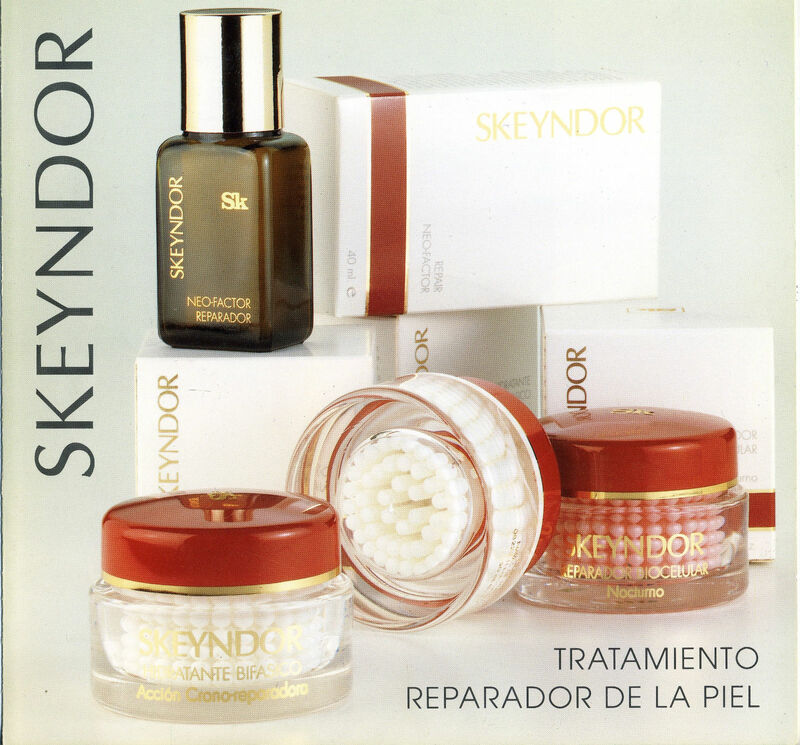 The Skeyndor Academy in Madrid is inaugurated, the combination of avant-garde and experience in order to share the latest trends in cosmetics with professionals. 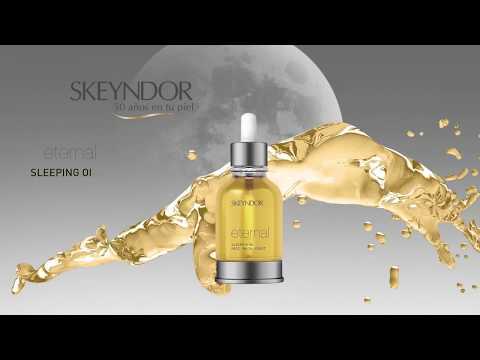 A unique combination of oils, essences and natural extracts for overnight regeneration of the skin. 50 years of innovation, science and beauty, and learning every day how to understand everyone’s skin. 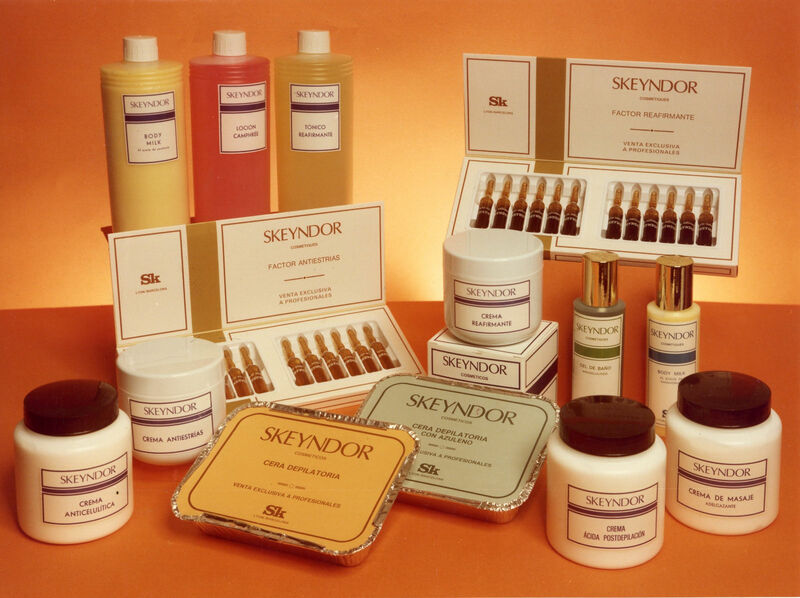 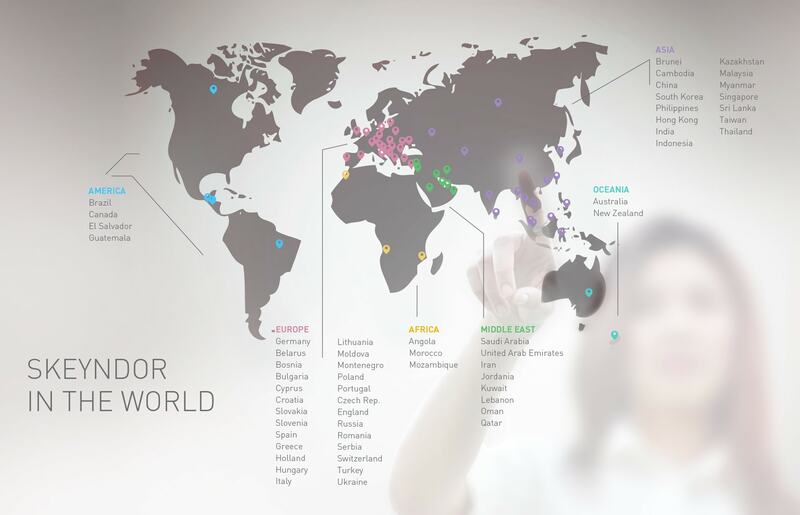 There are plenty of reasons why Skeyndor has become a world reference in the professional cosmetics market. 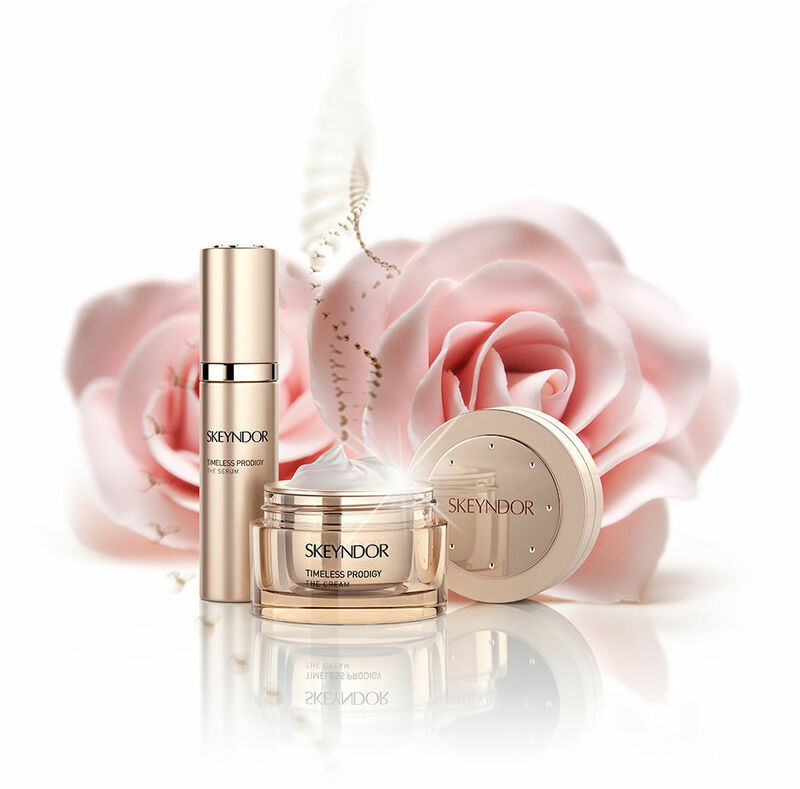 A new dimension cosmetics which stimulates youthful genetic expression, slows down cellular ageing and helps them recover their youthful state. 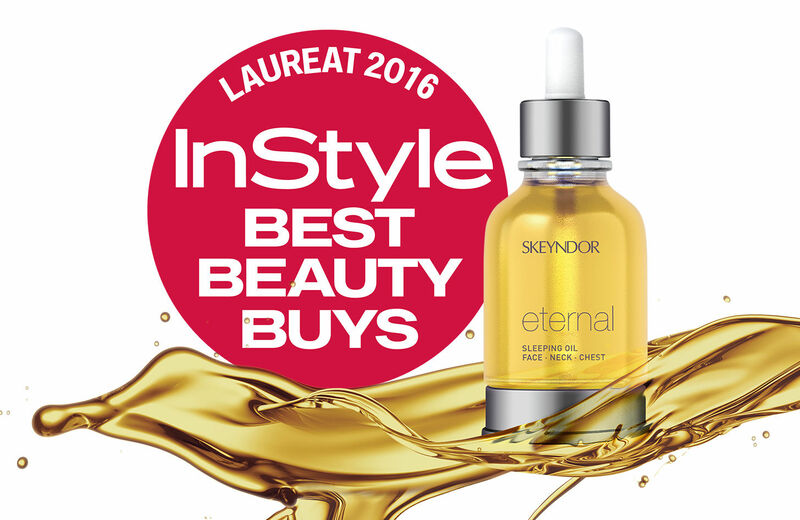 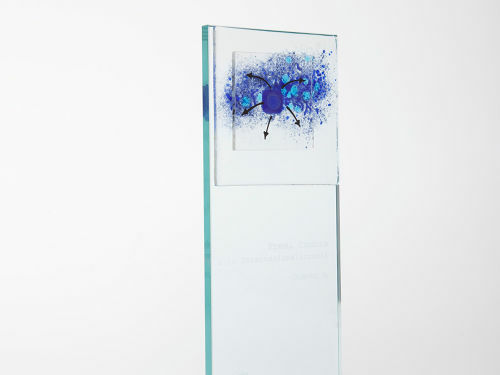 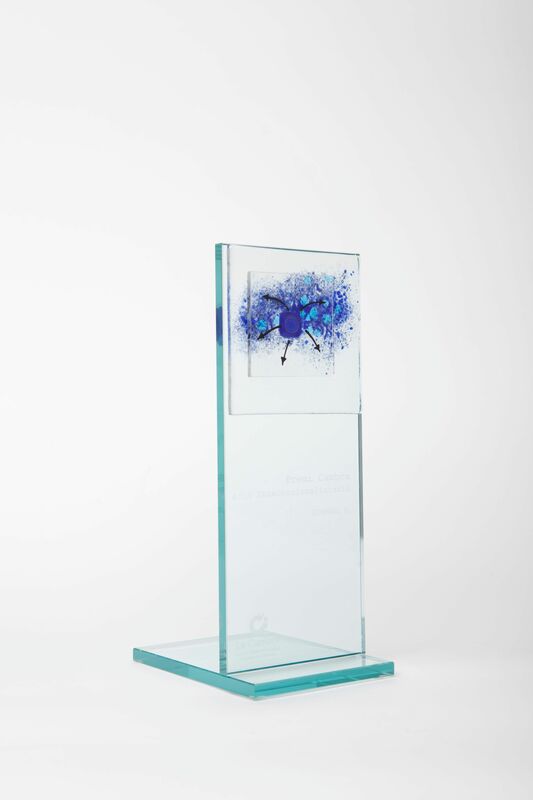 Eternal Sleeping Oil receives the award in the Best Luxury Anti-Aging Care category at the Instyle awards in Poland.